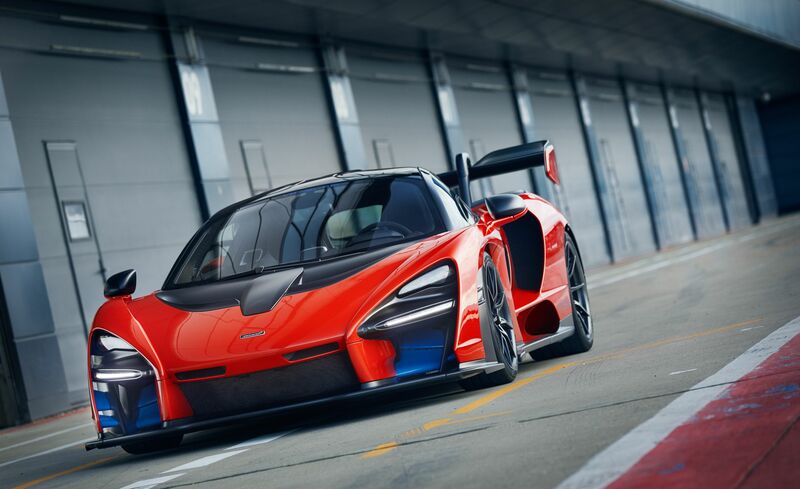 When it was first unveiled in late 2017, the Senna proclaimed itself as the ultimate street-legal McLaren. We can go back as early as the 1990s when tracing the Senna’s lineage, with the McLaren F1 pioneering the first production car with full carbon-fibre construction. 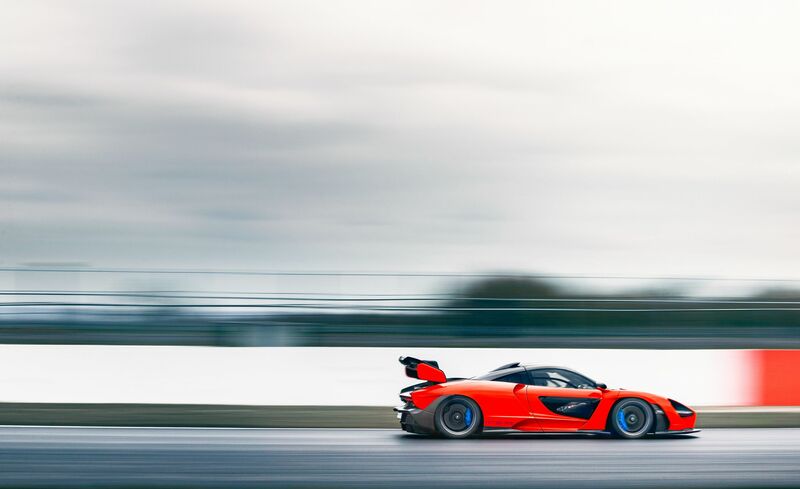 More than two decades later, its predecessor – the McLaren P1 – gave the British automaker a refreshed sense of supremacy with its redesigned flagship car. 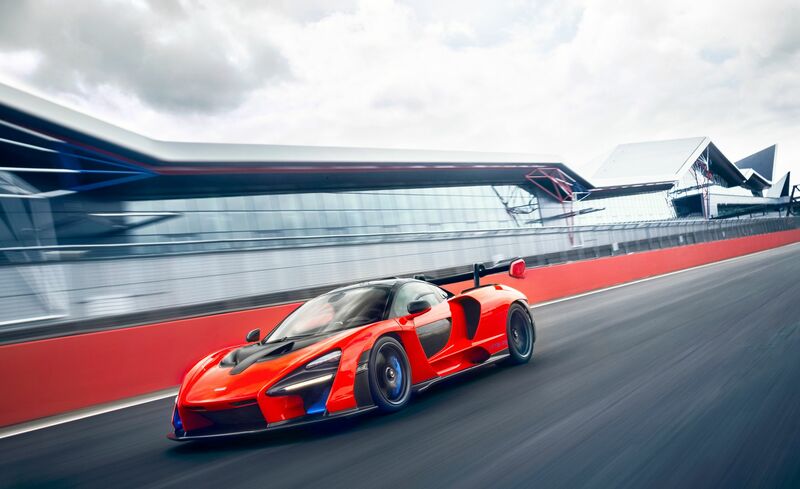 Fast forward into the current era of automobiles, and the Senna epitomizes a collaboration of the latest and greatest technologies, while paying tribute to a legend of the past – not so much to a car, as much as it is to a driver; none other than the late F1 driver Aryton Senna. 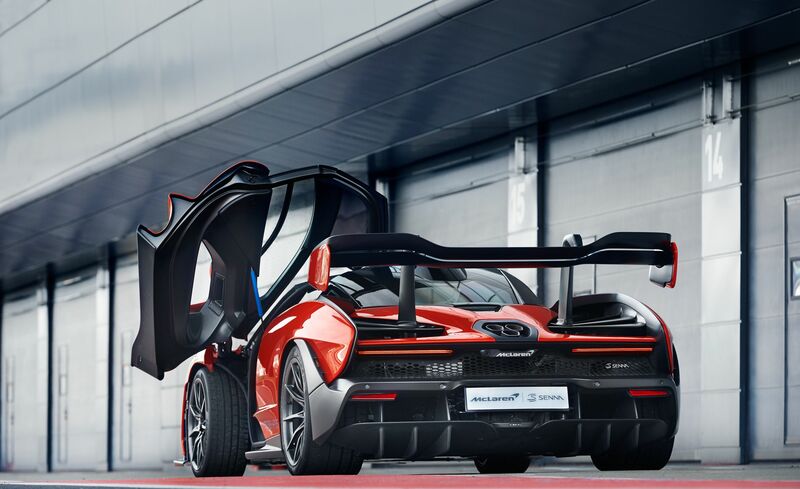 The Brazilian’s namesake is shared with the car as a salute to his tenure as a McLaren Formula One driver. 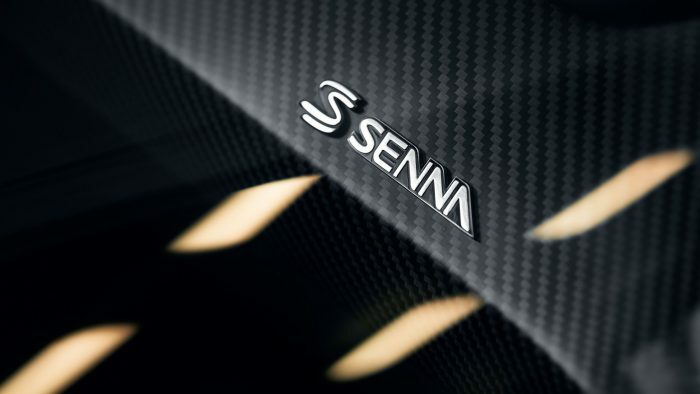 Though he is not with us anymore, one would be confident stating in his place that this is an automobile that Mr. Senna would be proud to have named after him. 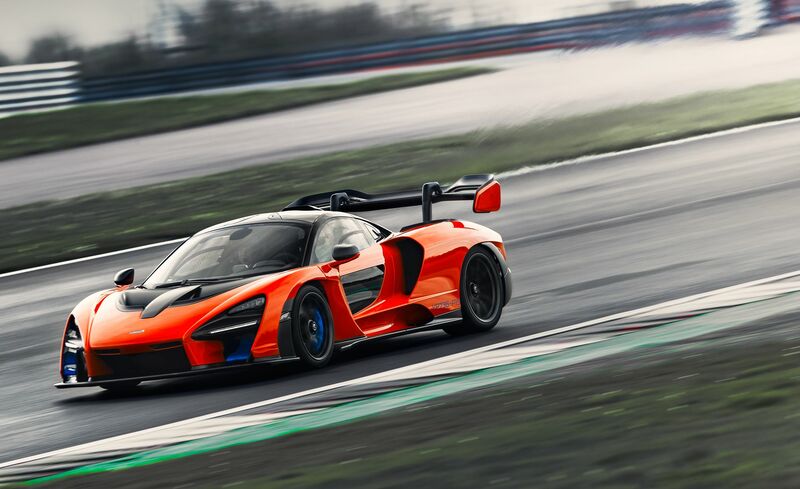 The McLaren Senna is the pinnacle of McLaren performance. 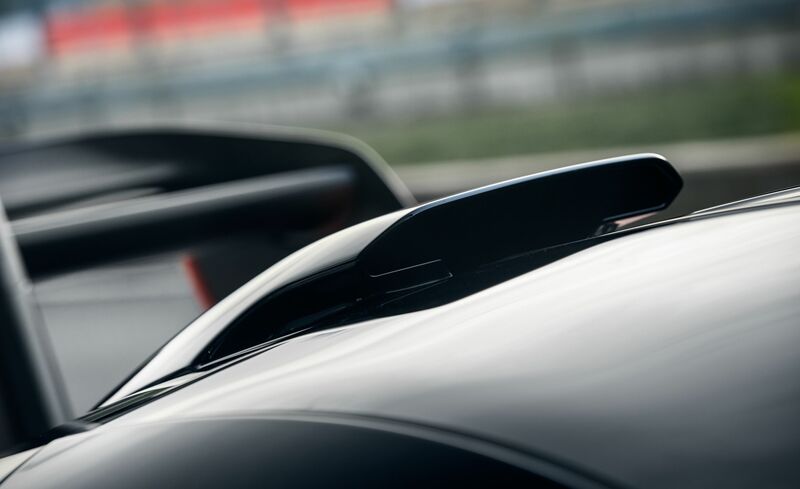 It combines the three principal matters of a high performance vehicle – aerodynamics, chassis and power – in an unrivaled manner. 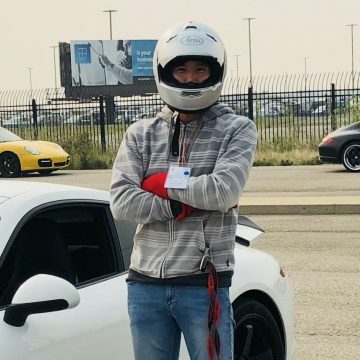 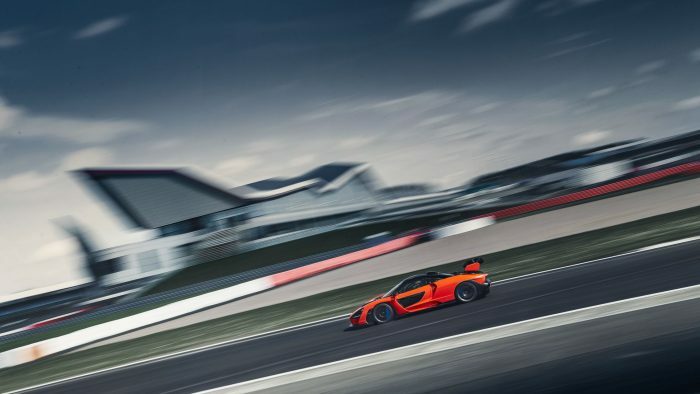 As a purpose-built track car, it still manages to be road-legal; but don’t expect to have a chance encounter with it at any race tracks or on the street. 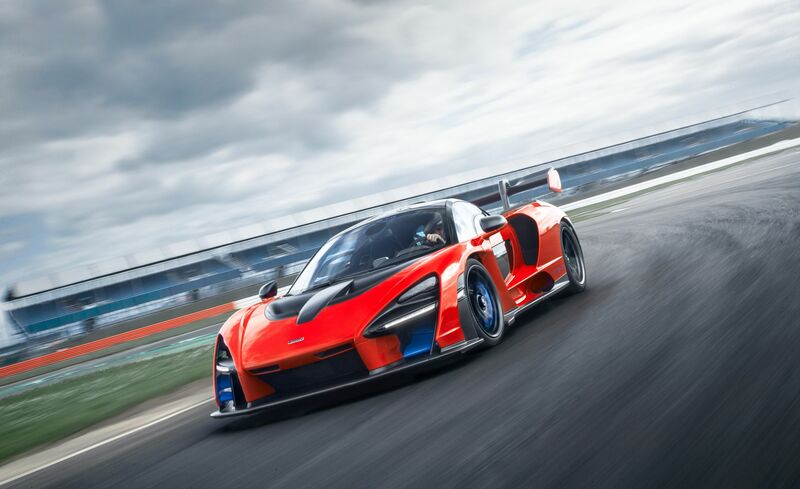 Due to its spartan interior and physically demanding nature, the car precludes mostly any sense of ‘daily use’ and will require an experienced and capable driver behind the wheel to push the car over seven-tenths on a road course. 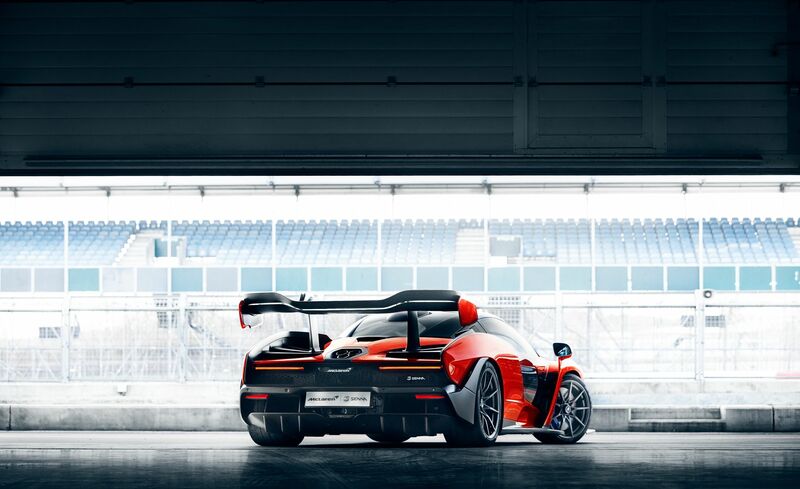 The car is also a bit of a unicorn with all 500 units having been spoken for. 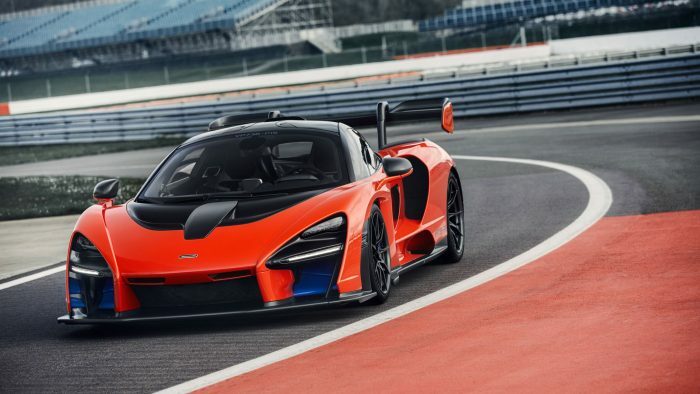 With a starting price of $959,000 USD – for better or for worse – we are all unlikely to see owners braving the perils of a potential trackday incident or a fender bender in a mall parking lot. 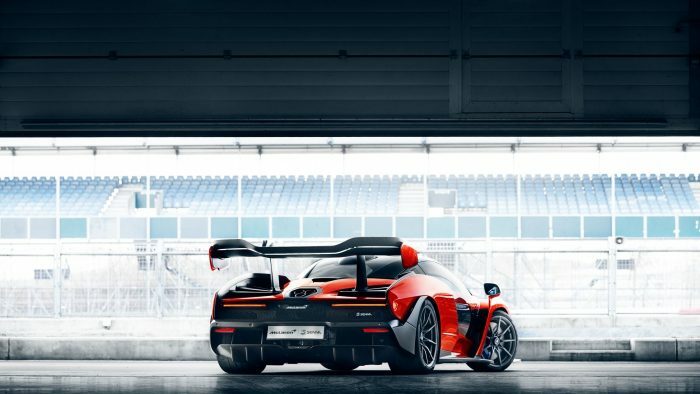 The cars are inevitable collectors items, and will be mainly limited to brief cameos at posh private gatherings and events, while their value continues to appreciate. 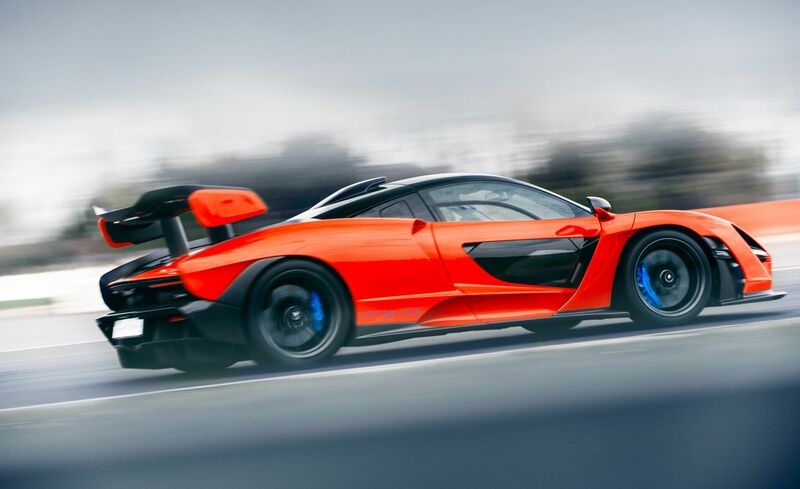 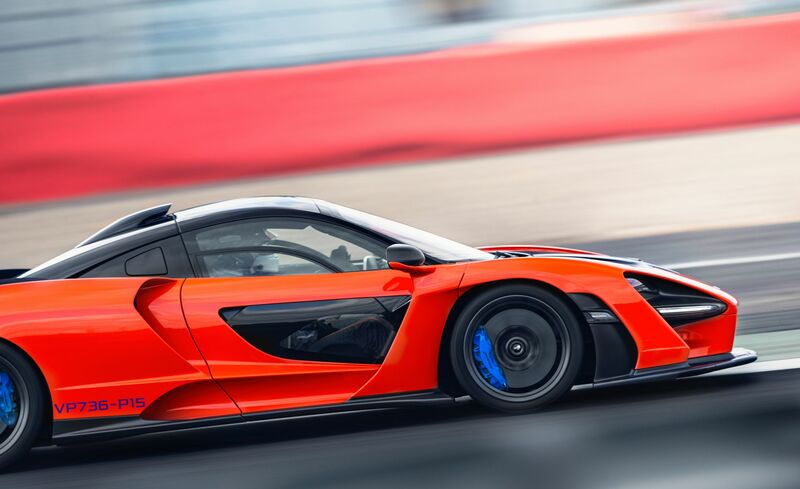 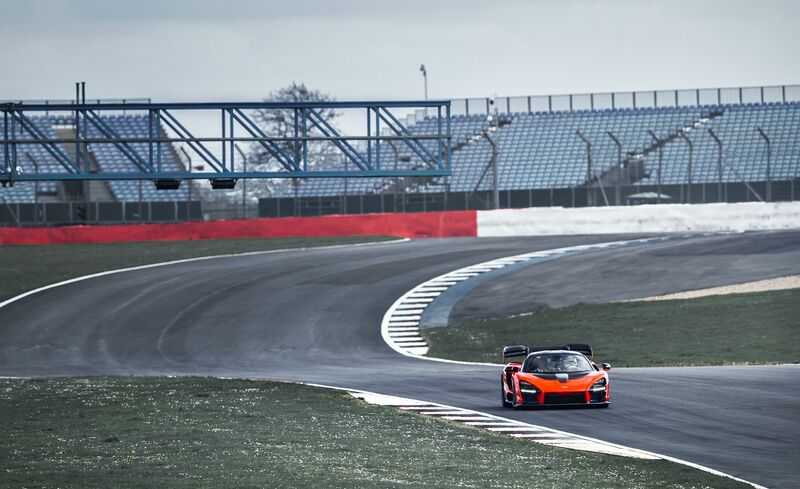 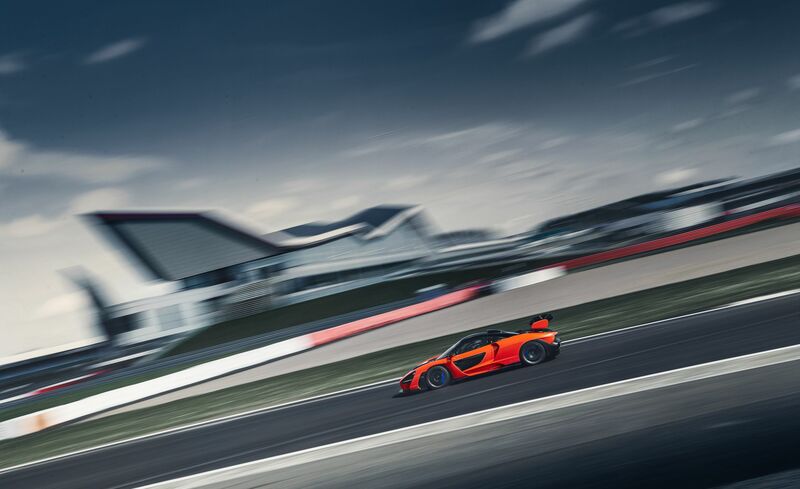 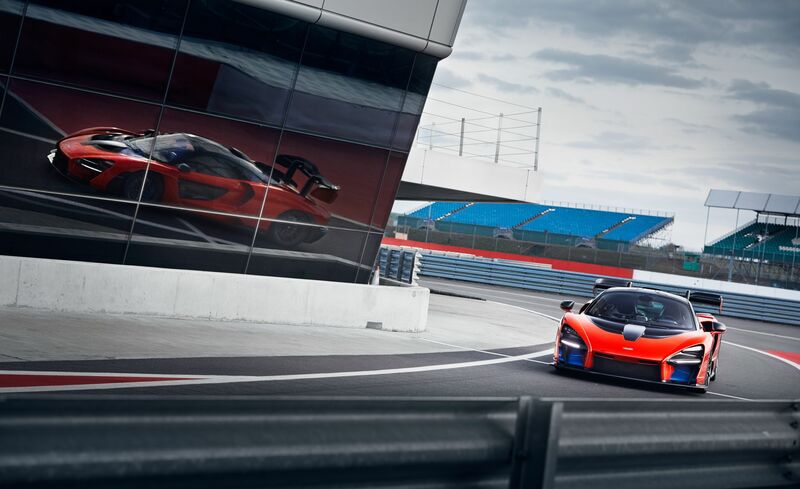 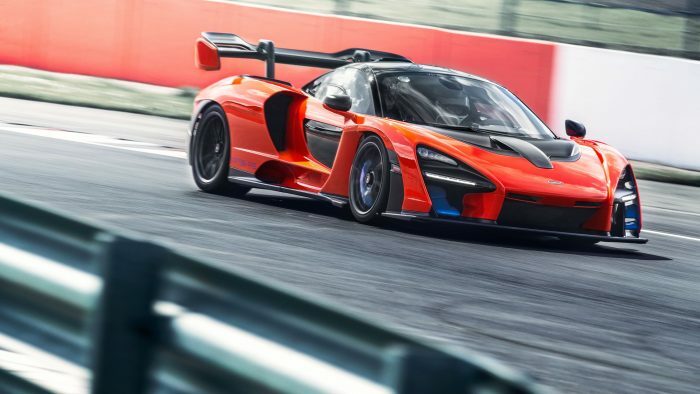 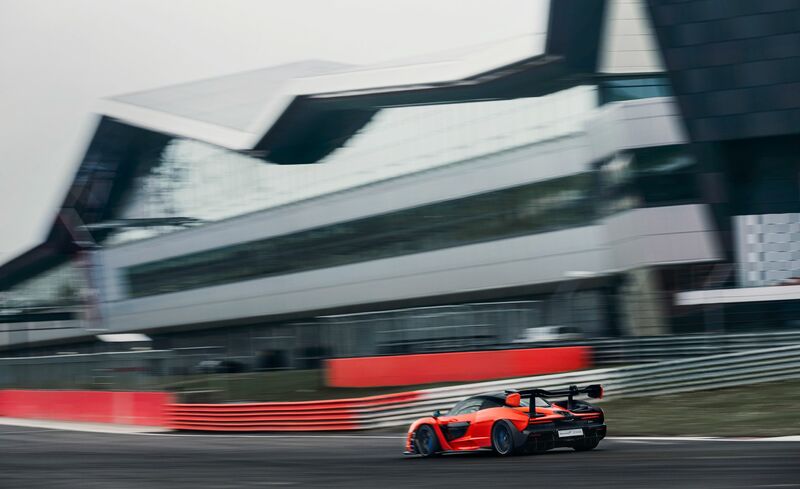 The McLaren Senna is powered by a twin-turbocharged 4.0L V8 engine which produces 789-horsepower @ 7,250 rpm and 590 lb-ft of torque at 5,500 rpm. 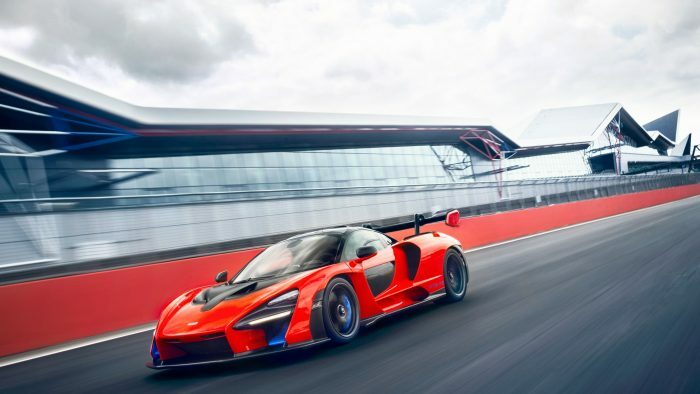 With its lightweight and mid-engined-rear-wheel-drive layout, the Senna predictably provides its occupants with head banging acceleration via its 7-speed SSG dual clutch transmission. While characteristically high revving in nature, the car still packs plenty of punch in the lower range as it surges forward towards peak power in a linear (not to be mistaken as boring) manner. 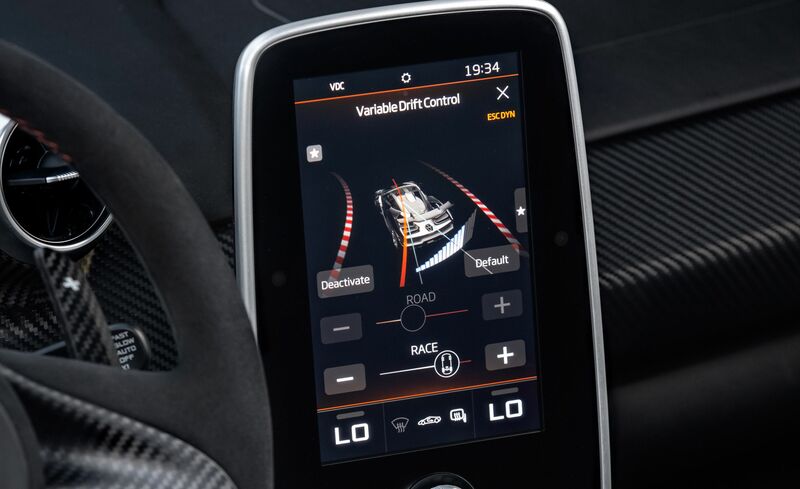 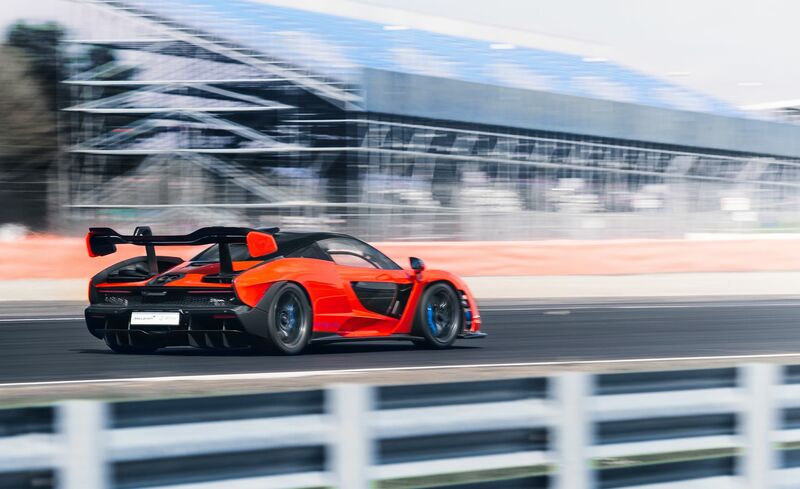 With launch control enabled, the rear-driven car is able to achieve 0-62 mph in 2.8 seconds, 0-124 mph in 6.8 seconds, and complete the ¼ mile in 9.8 seconds and can reach a top speed of 211 mph. 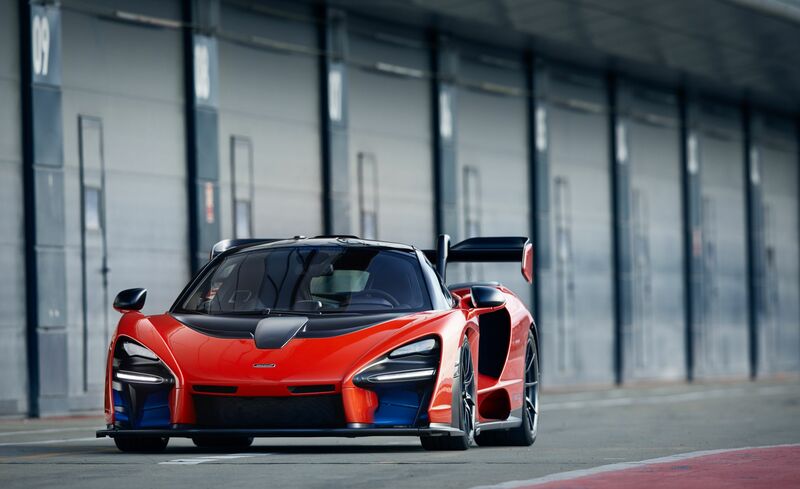 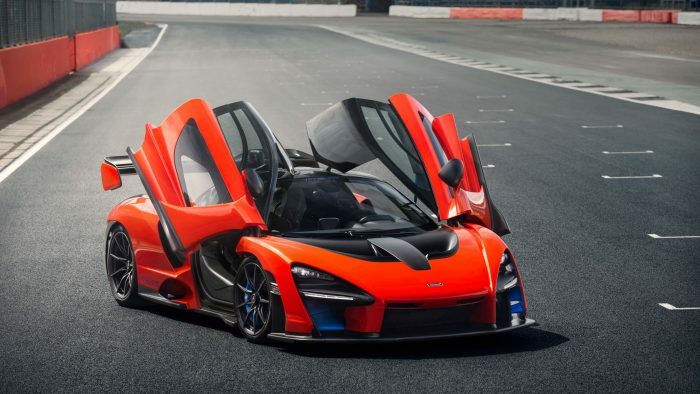 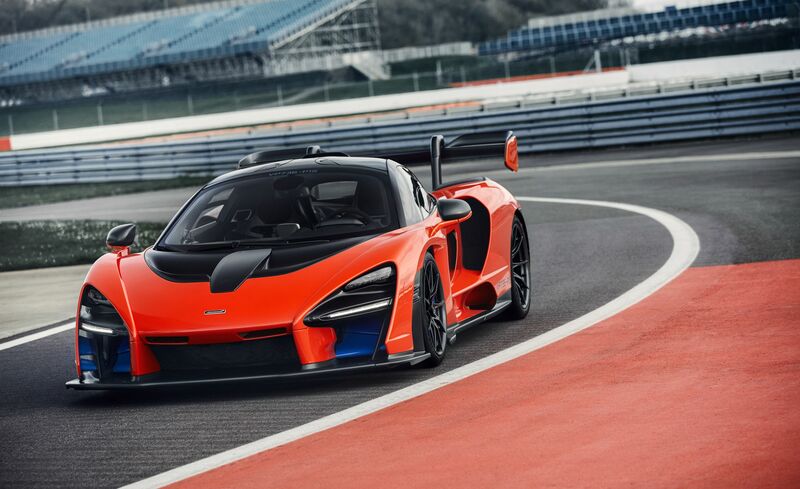 With its dry weight of just 2,641 pounds, the Senna is the lightest production car McLaren has made since the F1. 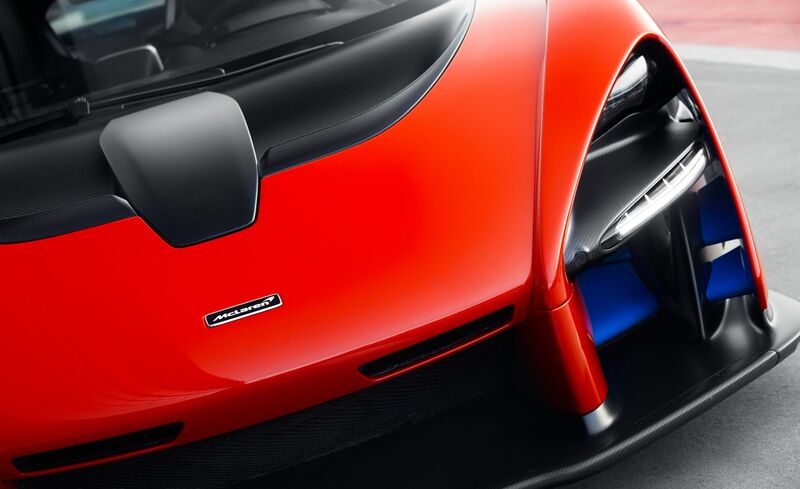 At the core of this ultra lightweight design is McLaren’s state-of-the-art carbon fiber Monocage III chassis. 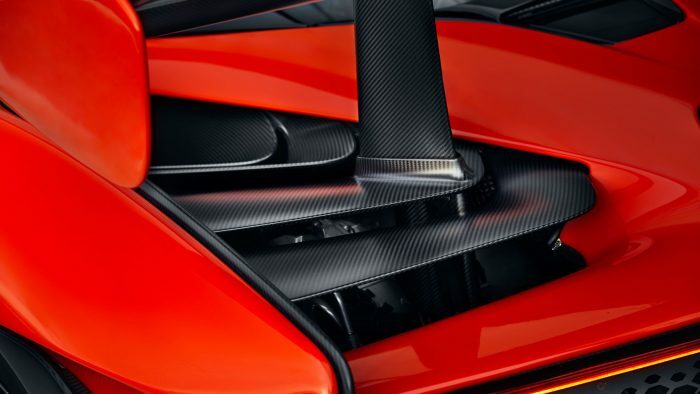 This is an improvement over the Monocage II version used in the 720S thanks in part to a repositioning of woven, stitched, and sheet-molded sections which provide the chassis with strength, rigidity, and lightweightedness while providing the canvas for the exterior design elements required for the flagship hypercar. 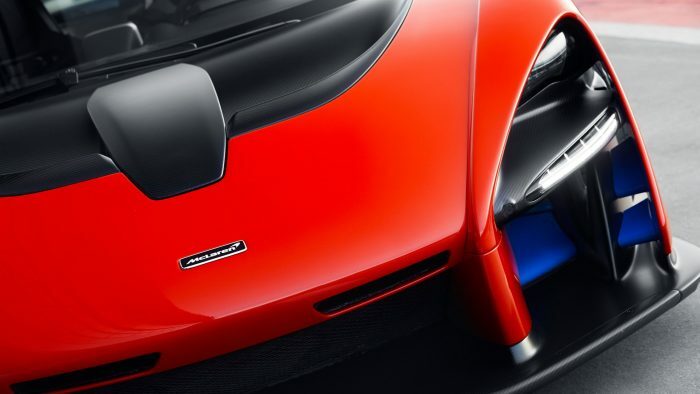 Speaking of such design elements, we can refer primarily to the Senna’s aerodynamics. Having the luxury of direct access to a world leader in aerodynamics – McLaren’s F1 Team – it’s no surprise to see many of their technologies amalgamate with their production vehicles. 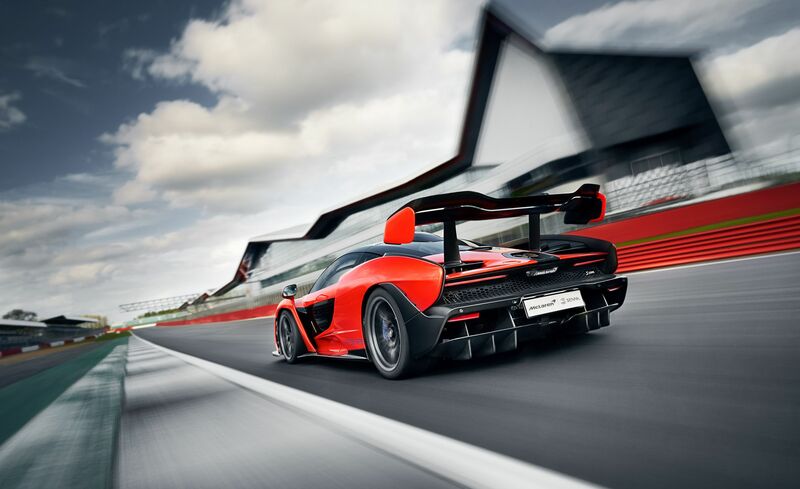 The Senna is equipped with an active aerodynamics system which can produce up to 1,764 pounds of downforce at 155 mph. 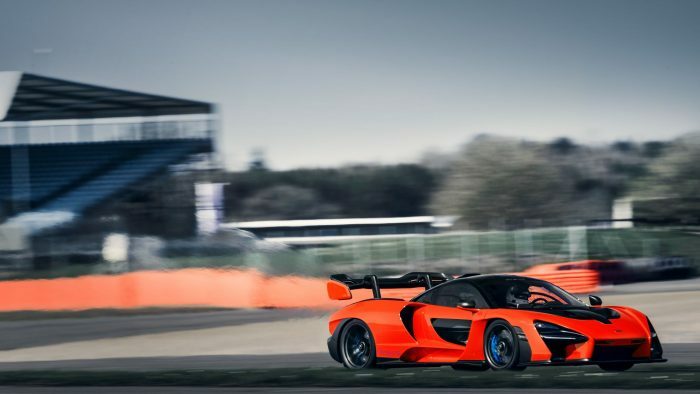 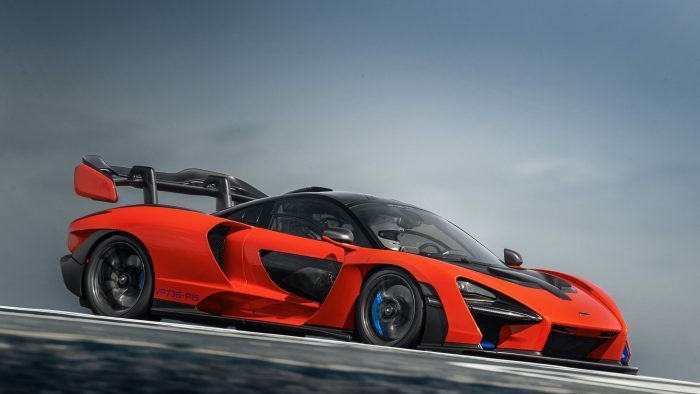 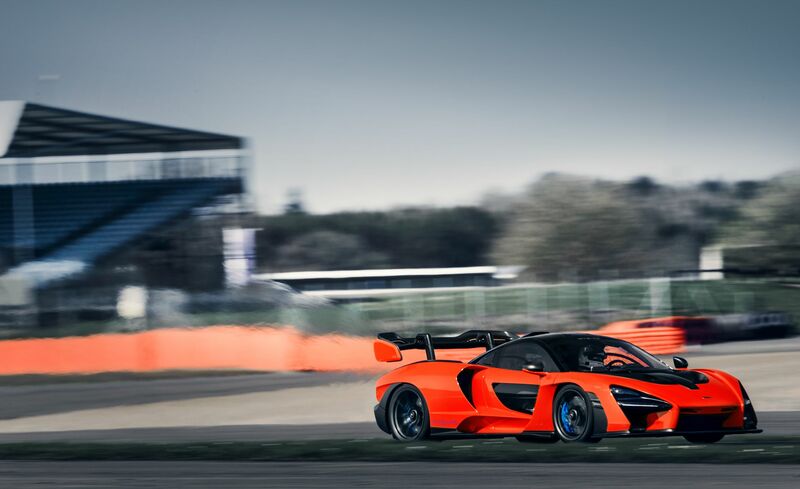 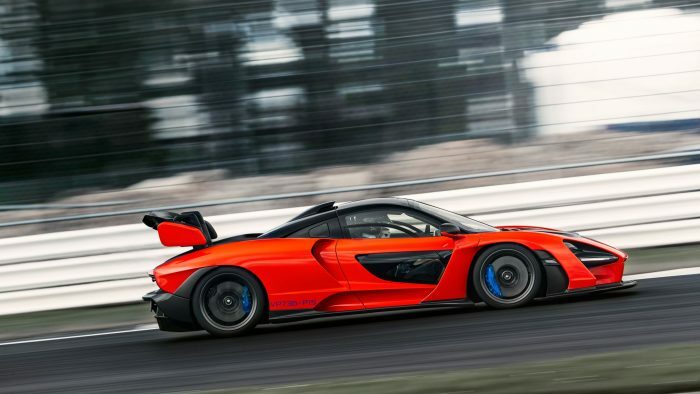 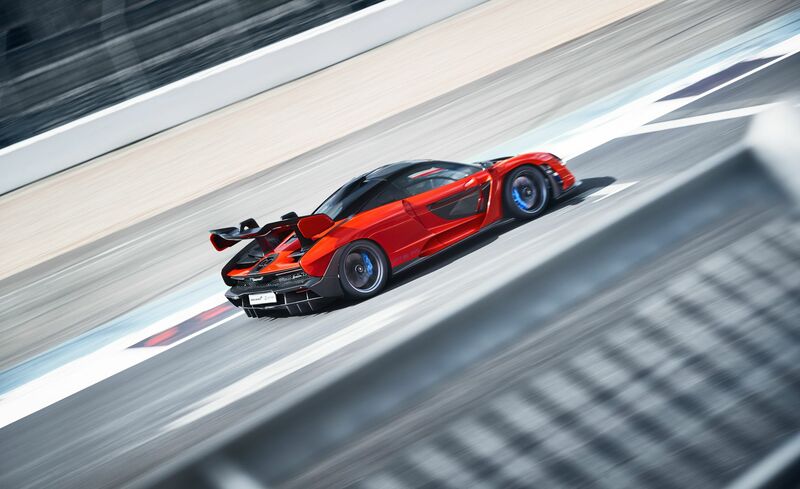 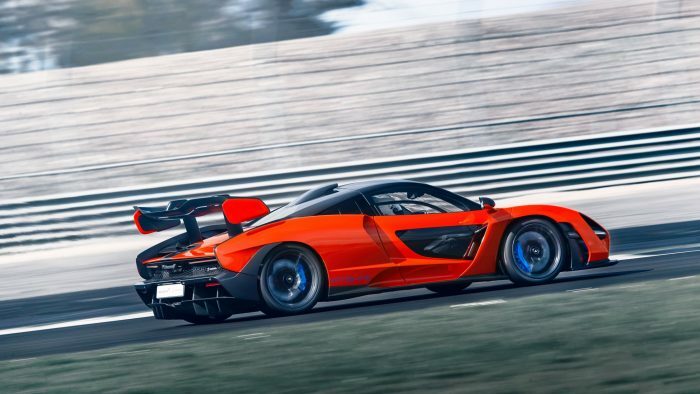 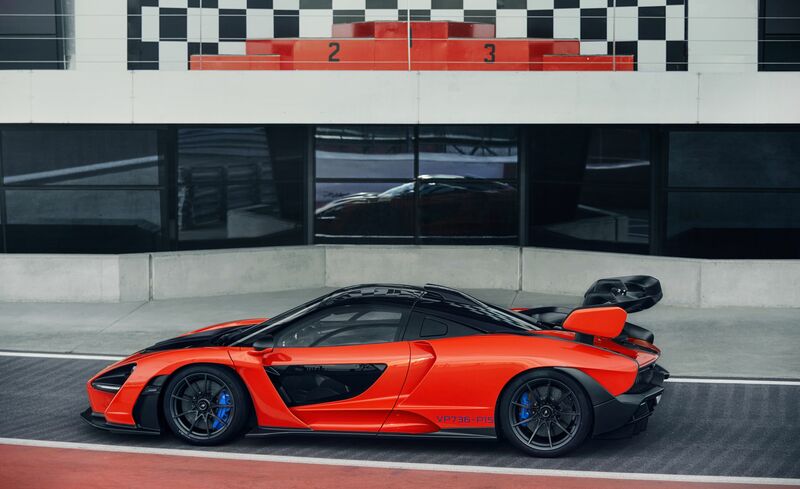 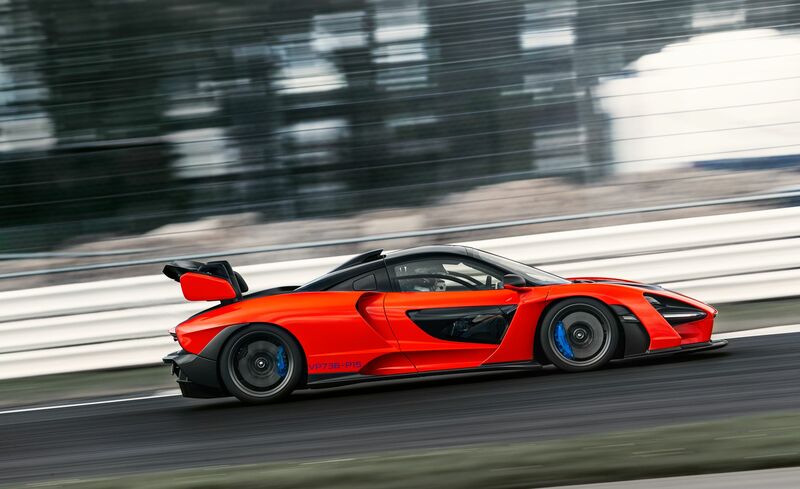 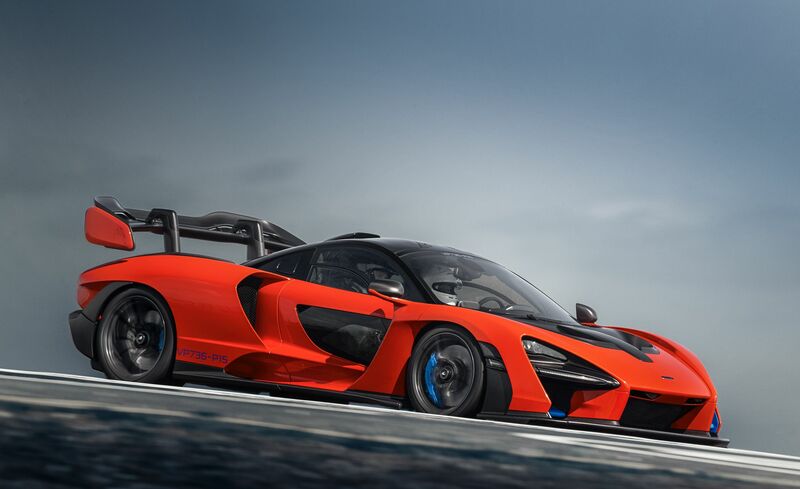 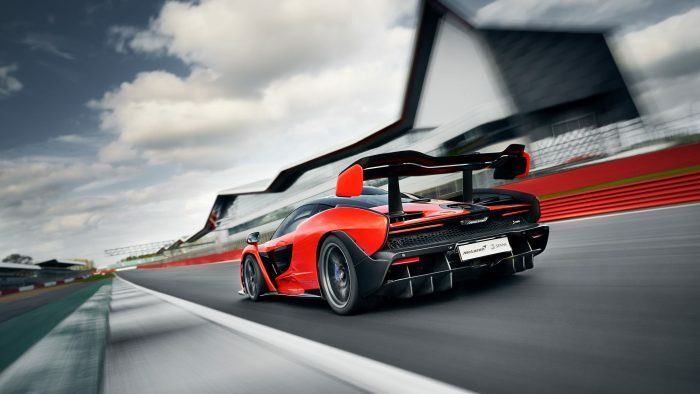 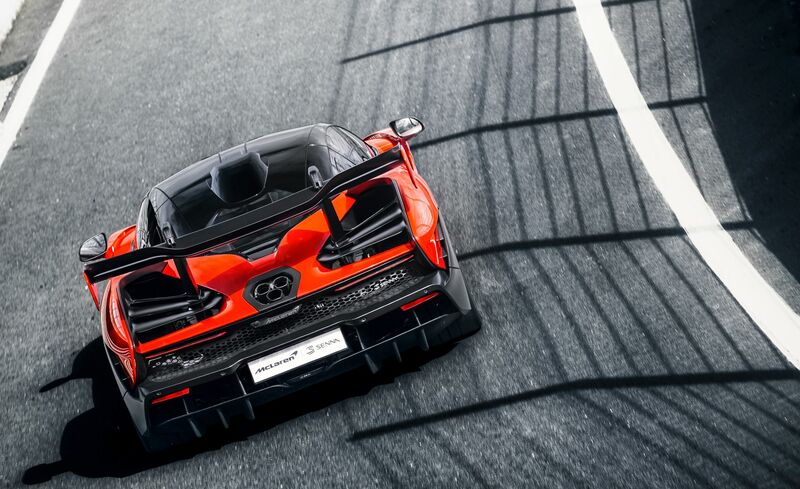 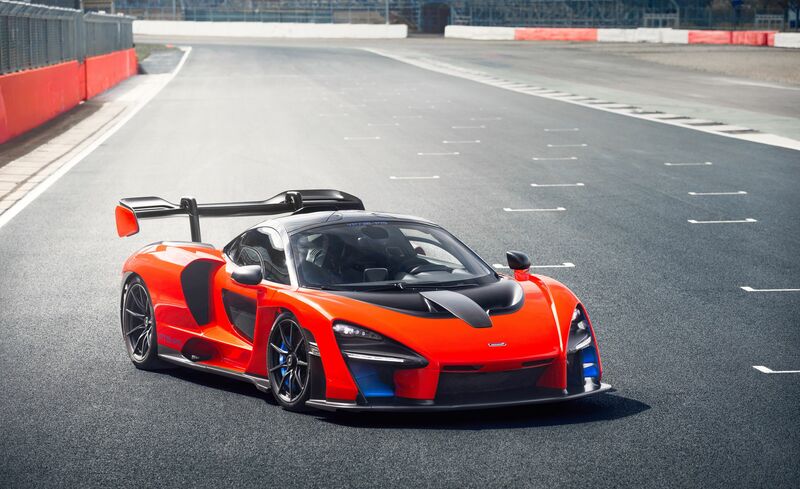 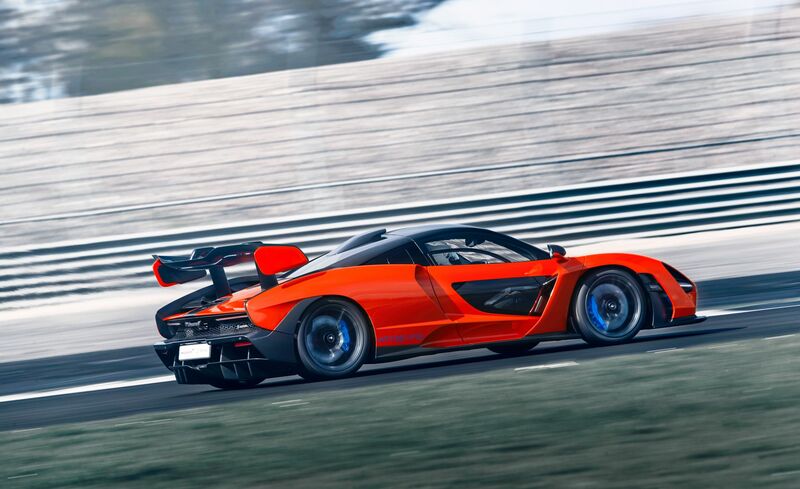 With the help of elements such as an enormous rear wing, rear diffuser and an array of ducts and splitters, the Senna generates 40% more downforce than the P1 model it replaces. 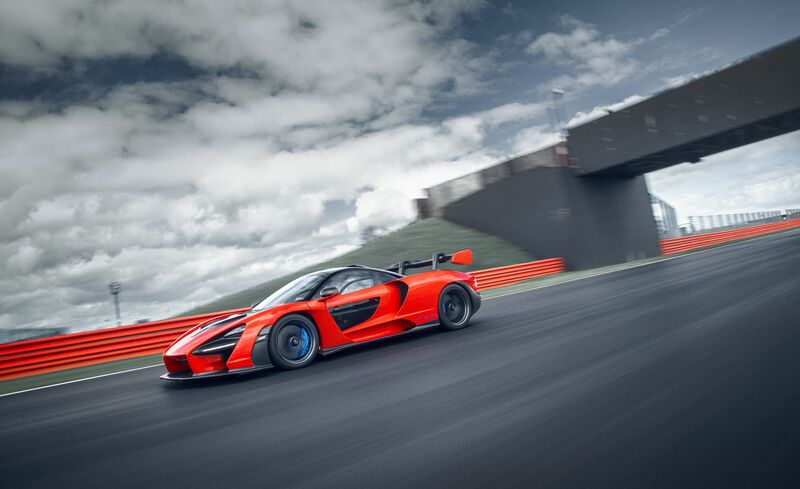 “The advantage a road car has over a racecar that has to conform to a rulebook is that we can use active aerodynamics,” Ian Howshall, McLaren’s Product Manager for the Ultimate Series explained. Even under the most extreme g-force inducing situations – such as threshold braking at high speeds – the active aerodynamics ensures the car remains balanced by tempering the undesirable effects of significant weight transfer. 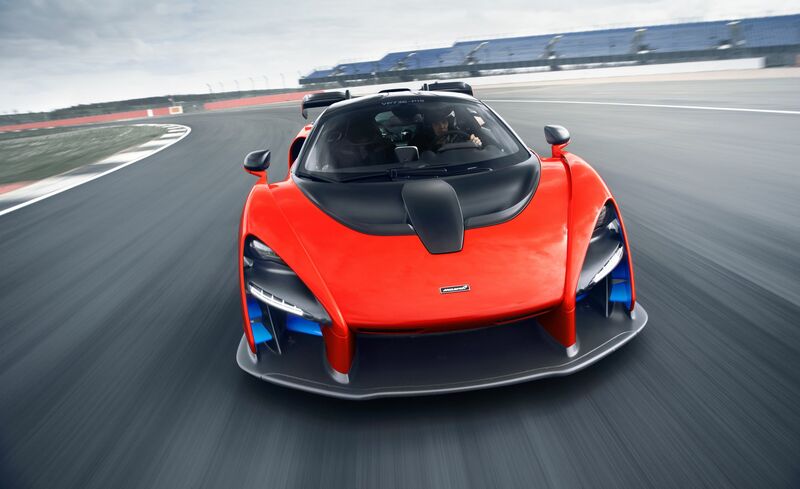 In this scenario, downforce over the front axle is reduced while downforce over the rear axle sees a large relative increase. 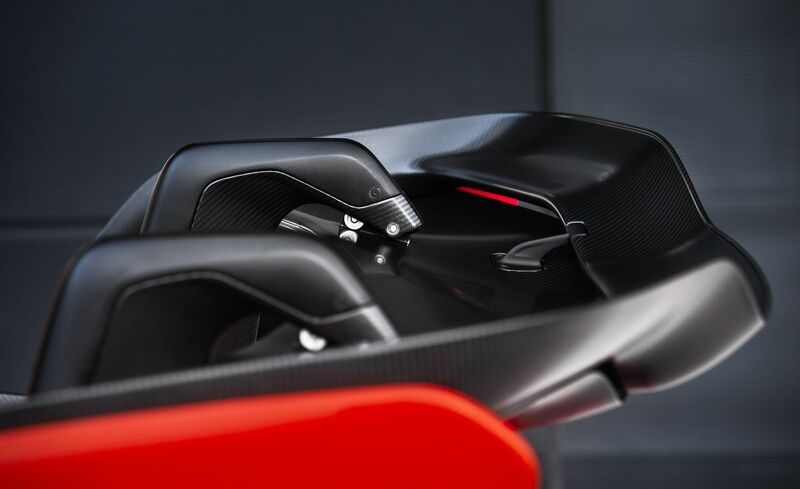 “Our computer controlled active aero will take care of this with precisely the right amount of transfer.” The mapping will also alter the downforce going into, through and out of a bend, optimizing stability and mechanical grip on the driven rear wheels”, Mr. Howshall iterates. 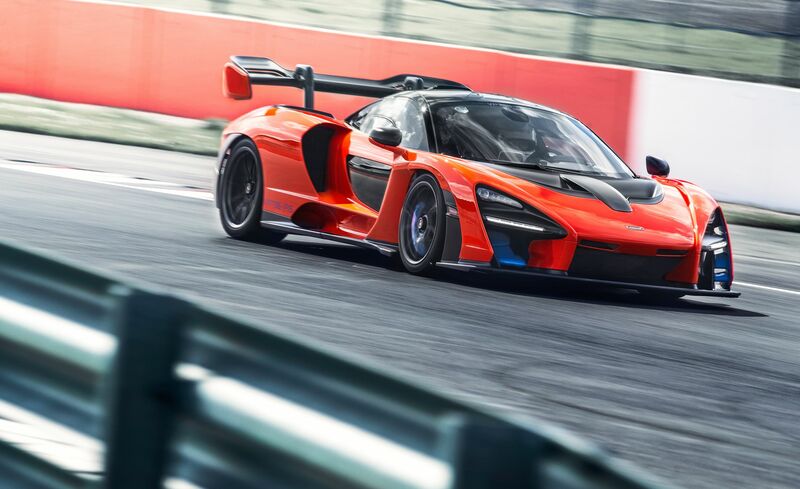 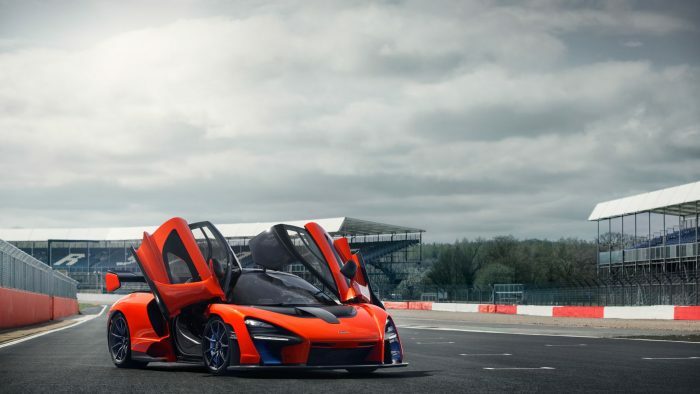 The Senna is the beneficiary of equally impressive suspension technology thanks to McLaren’s RaceActive Chassis Control II suspension, which has evolved from the P1’s setup. 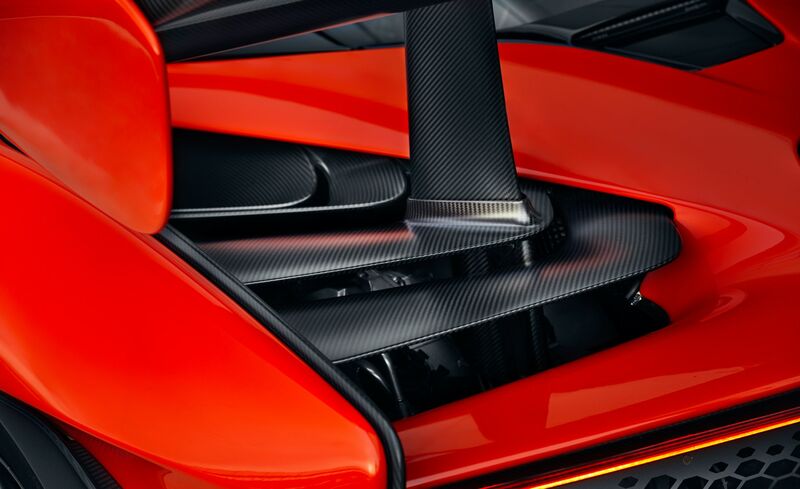 This suspension links the dampers laterally and longitudinally to manage both roll and heave. 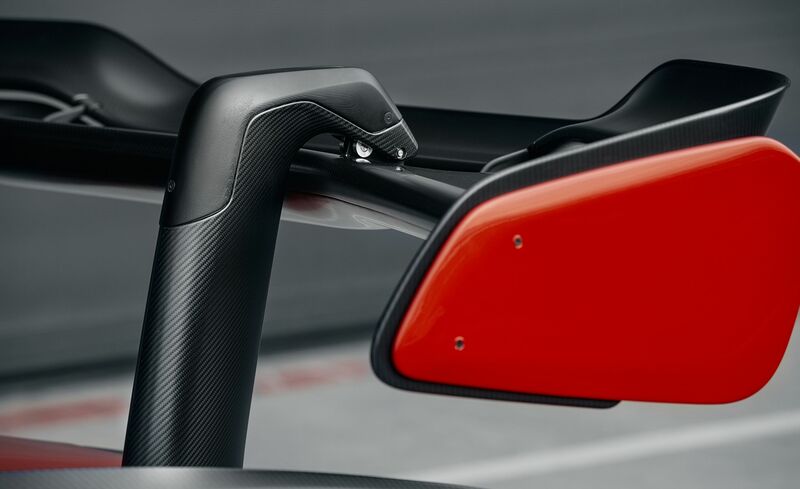 The system also lowers the car closer to the road in Race mode; by 1.5 inches in the front axle and 1.2 inches in the rear. 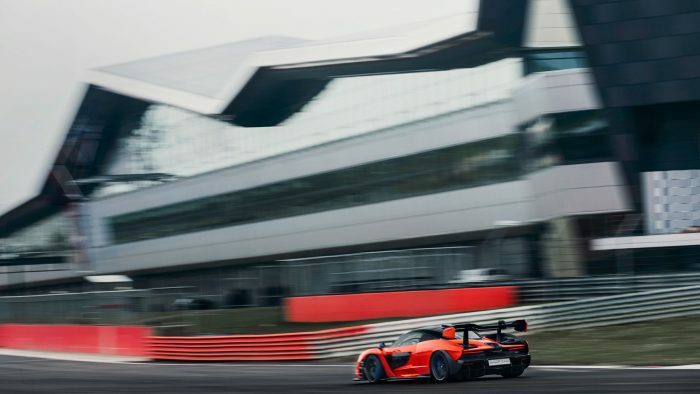 Making contact with the tarmac are Pirelli Super Trofeo R tires (245/35/19 in front and 315/30/20 in the rear), while six-pot monobloc alloy calipers and carbon ceramic discs provide enough stopping power to bring the Senna to a standstill from 124 mph in just 100 meters. In contrast to its extroverted exterior, the interior is notably spartan and stripped down to accommodate less in order to get more. 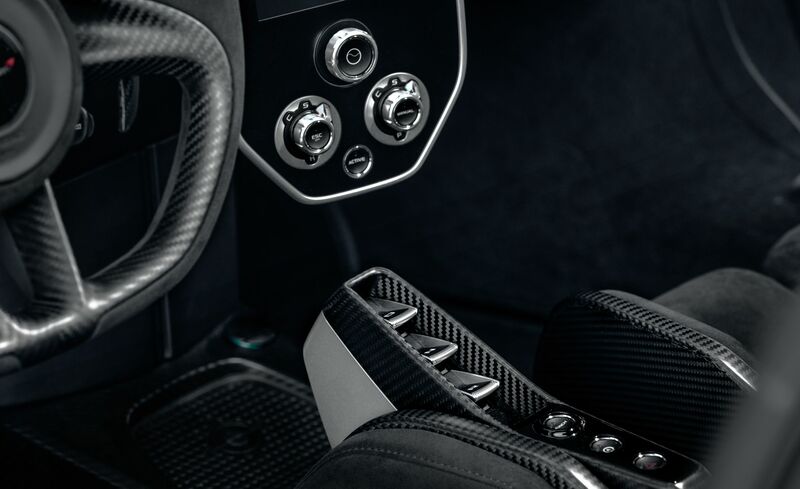 “Less” in this case would be refinement and comfort, and “more” would be unadulterated performance. 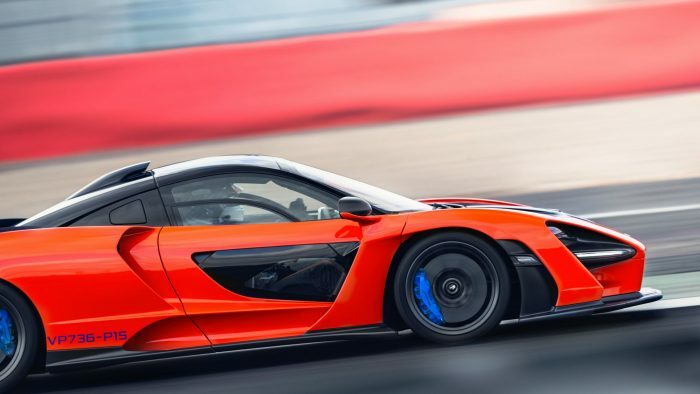 Depending on where you order your car, you will be provided with either a left or right hand drive configuration – McLaren decided to go this route in spite of some earlier prototypes having a centrally located drivers seat, like the McLaren F1. 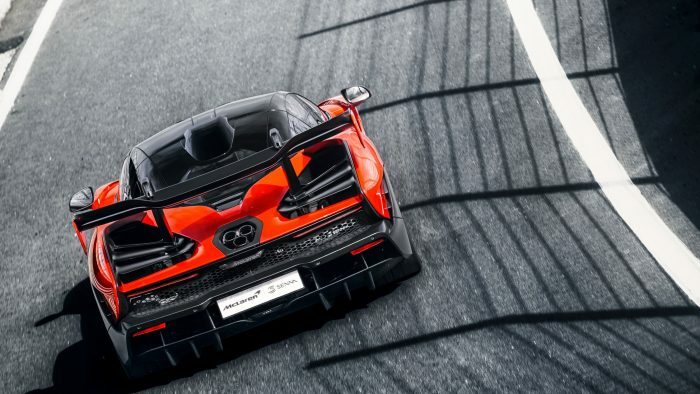 Hypercars in general are difficult to compare anything else to, as they are by nature, cars that effectively create and exist in their own class. 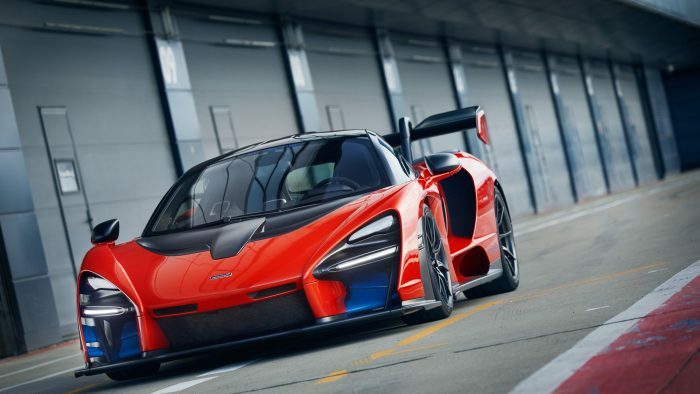 The McLaren Senna is no exception, and even though other hypercars such as the Bugatti Divo make claim to being a “rival” of sorts, the Senna remains in a league of its own. 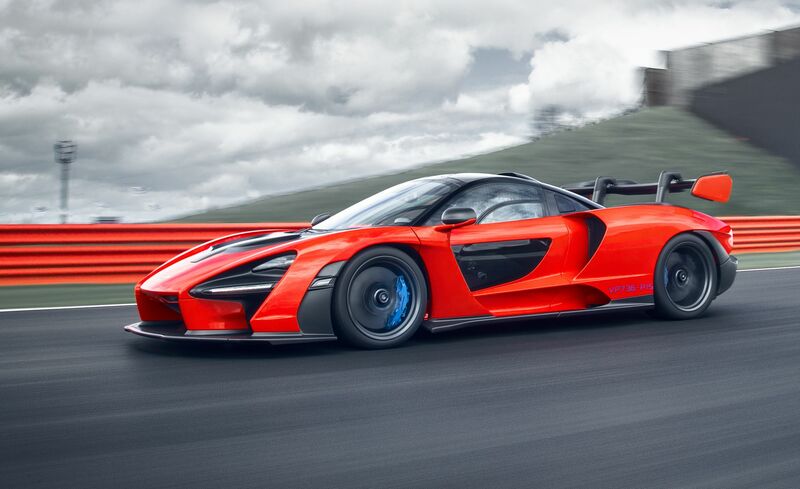 In my opinion, if anything were to rival the Senna, it would come from within McLaren’s own lineup. 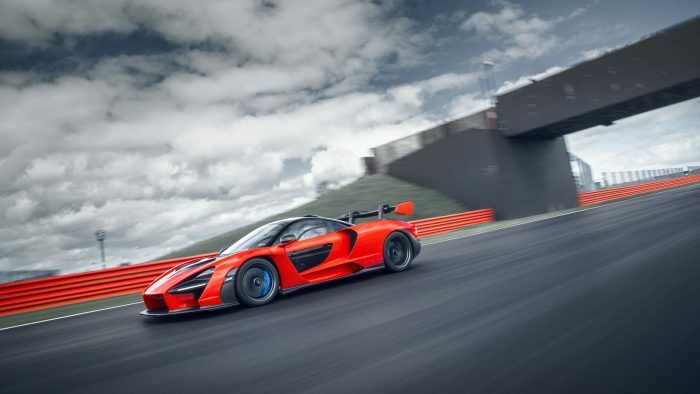 The 600LT is widely perceived to offer a large majority of the Senna’s performance and characteristics at a fraction of the cost, while the 720S is the pragmatist’s choice when it comes to having the best all-around car. 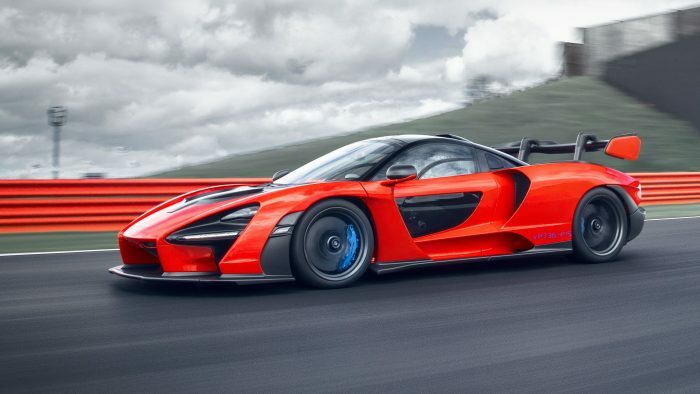 In spite of the McLaren Senna’s unworldly performance, it is not the car you would get for its bang-for-buck or inherent value. The car will be owned by those where money is no factor, and ultimately it is destined to become more of a status symbol – with the goods to back up its claims but rarely with an opportunity to display its true power. 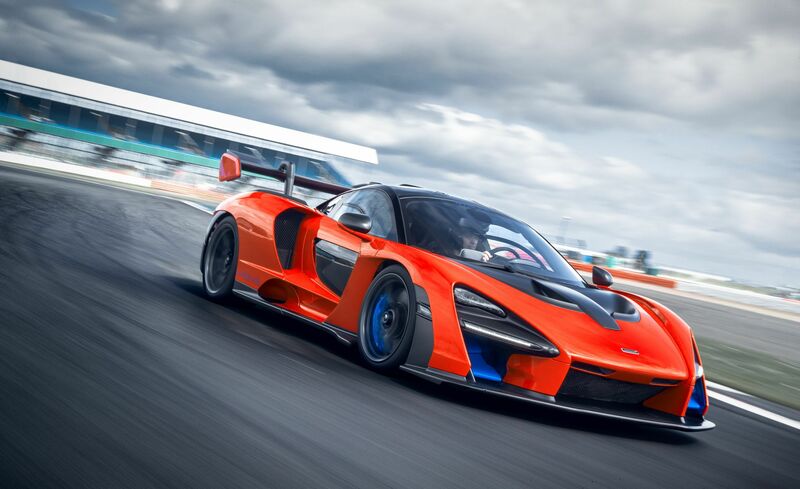 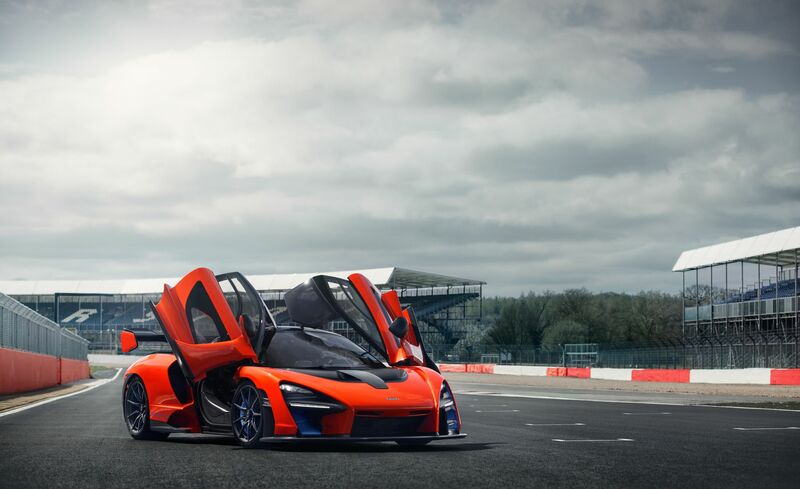 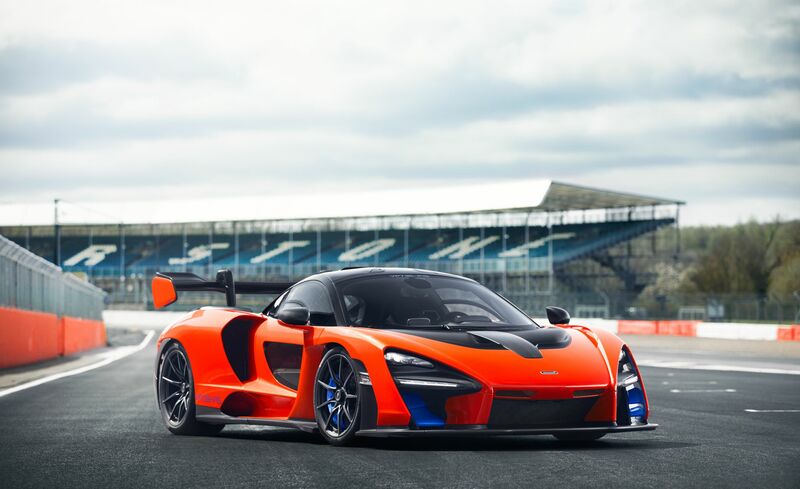 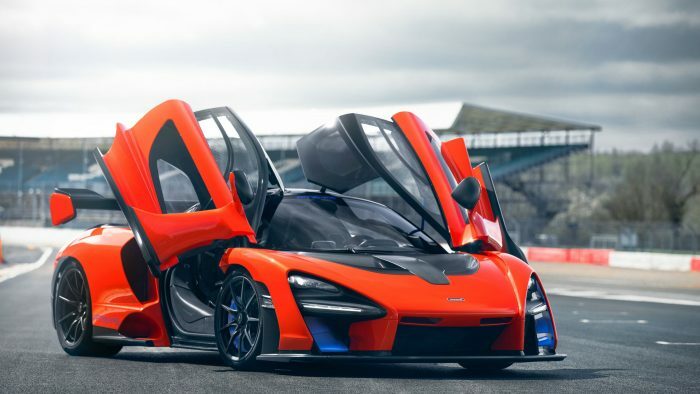 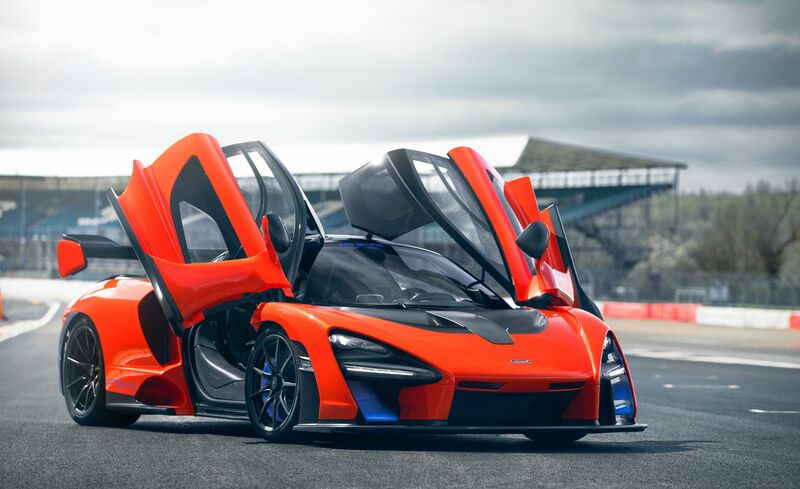 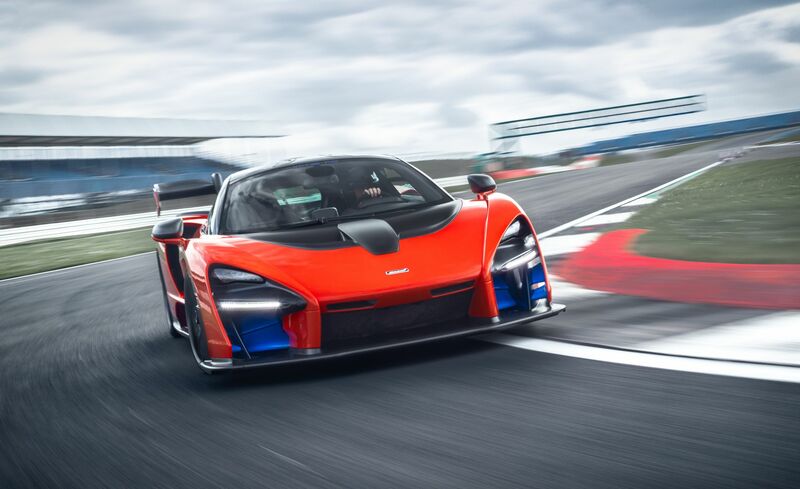 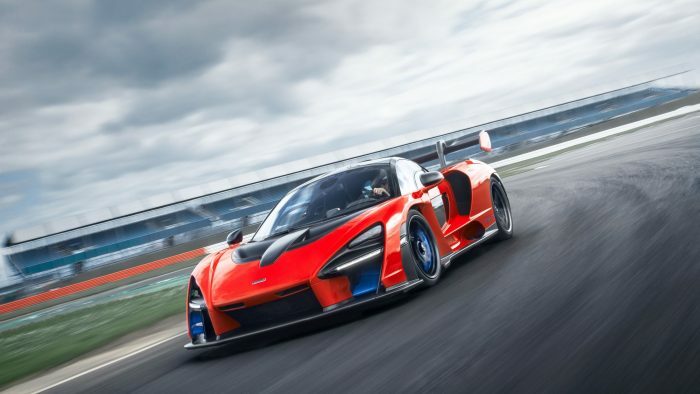 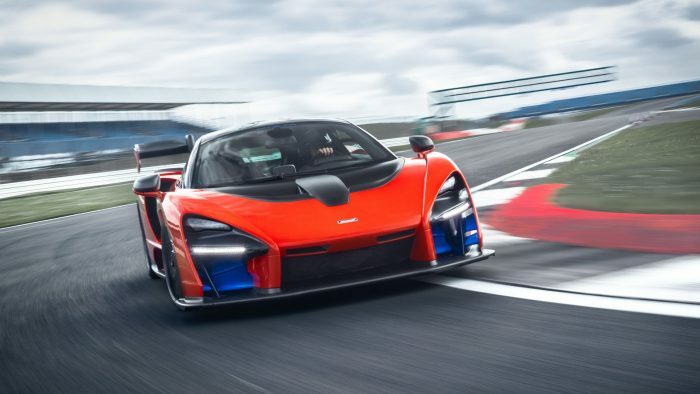 As the halo car for one of the world’s leading supercar producers, this is perfectly fine as the Senna fulfills its purpose of being the conduit which broadcasts very explicitly, McLaren’s prowess to the rest of the automotive world. 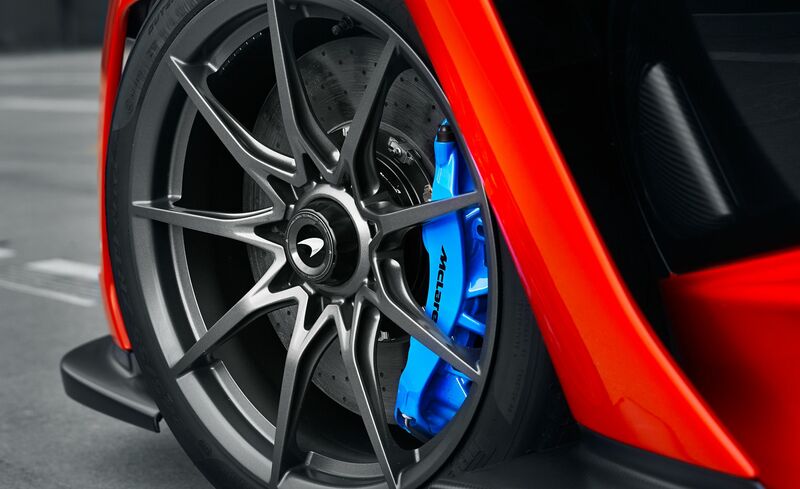 Suspension RaceActive Chassis Control II suspension w/ Normal, Sport and Race modes.